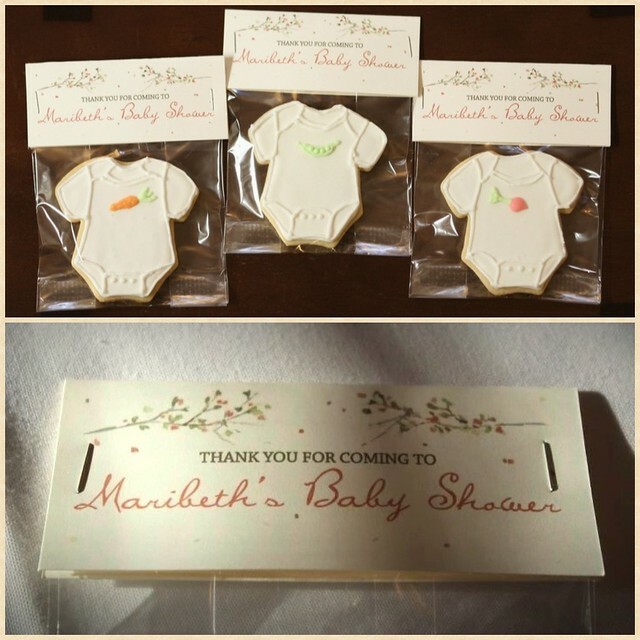 Maribeth is havin' a baby! I sadly couldn't be there for the shower but my mom and sister went and they had a lovely time. I got to enjoy some of it from the beautiful shower photos taken by Lauren Fradella. Lauren was kind enough to let me borrow them for this post. Thanks, Lauren! Maribeth is certainly glowing! 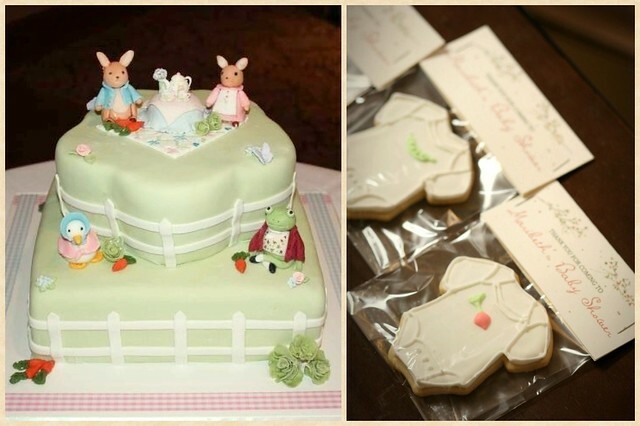 My mom made MB one of her classic Beatrix Potter cakes to go with this "gender neutral" baby shower. 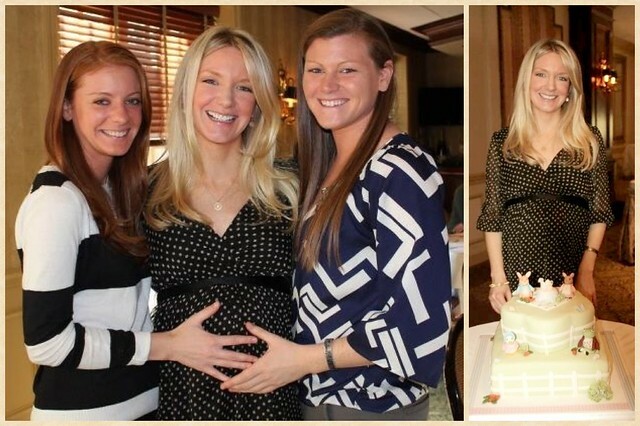 I'm so so happy for MB and can't wait to find out what she is having!! I shipped over some cookies to go with the cake. I used vegetables to decorate the onesies -- peas, carrots, and beets. I figured that went with the whole Mr. Magregors Garden. I copied the whimsical branch design elements from MB's adorable Baby Shower invitations (by Petite Alma for Tiny Prints) to decorate little gift tags for the cookie favors. 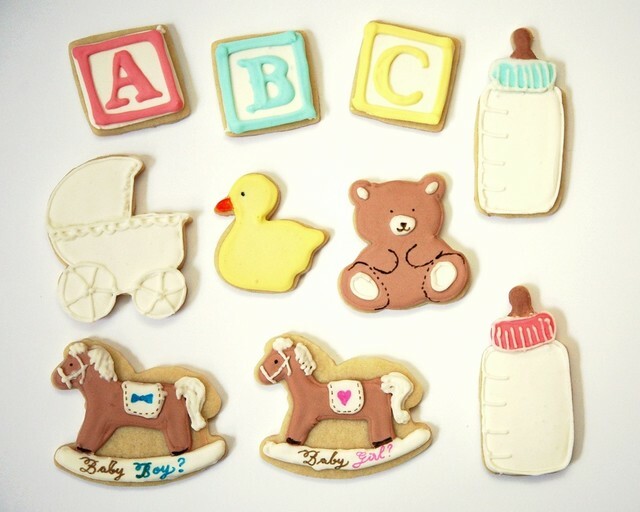 I also gave MB a separate batch of general baby shower cookies like teddy bears, rubber duckies, rocking horses, baby carriages, and alphabet blocks. Just for cute measure. 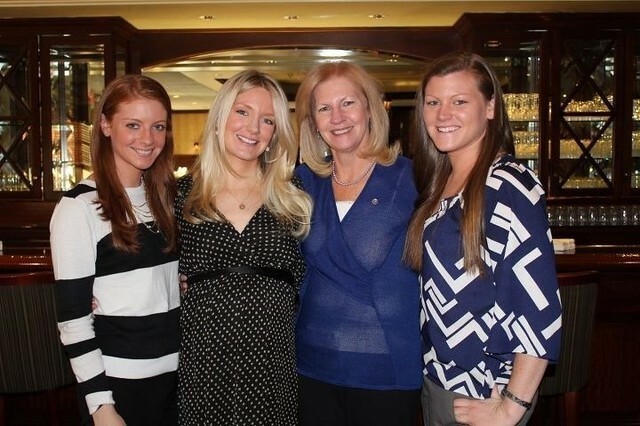 Don't these Regan (Ok, Smith and Vlahos, now, too) ladies look fabulous? 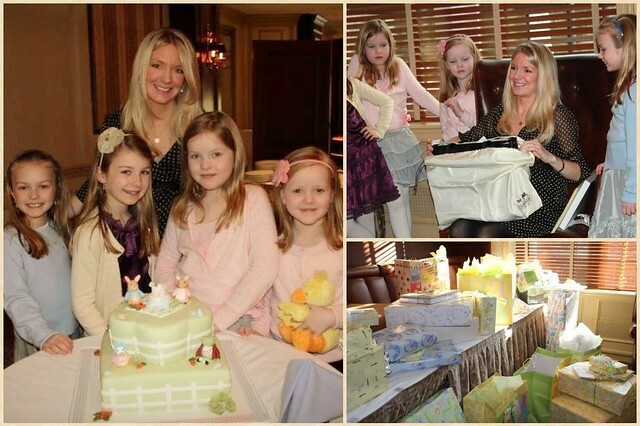 MB was surrounded by her sweet nieces, aka the flower girl entourage. I love it. 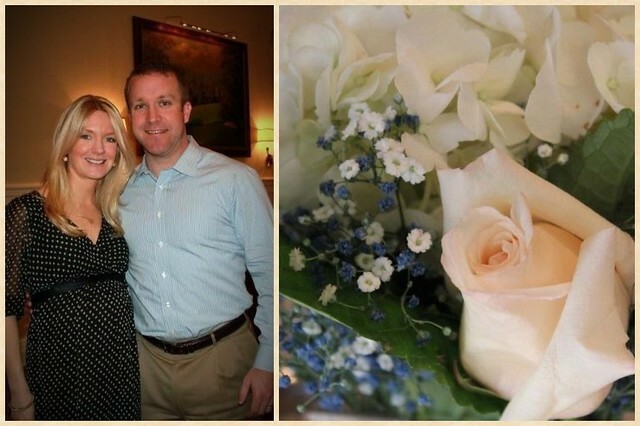 So happy and excited for MB and Cha Cha, the wonderful parents-to-be!